The Sandal Bottle Opener Key Ring is a cute tool that is shaped like a sandal. 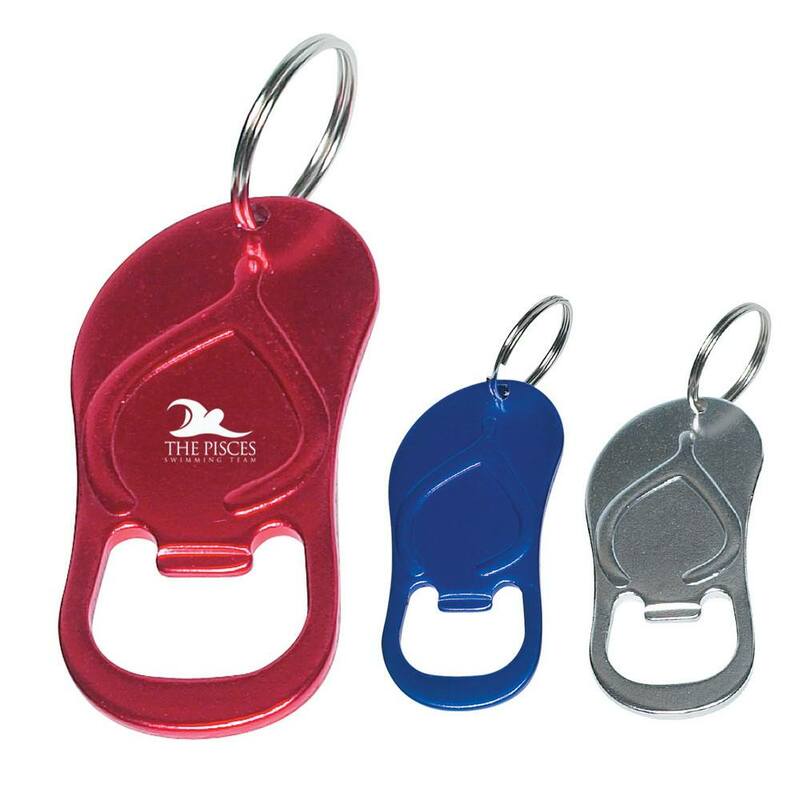 Add your company’s logo on the bottle opener, to boost brand recognition. The Sandal Bottle Opener Key Ring is a cute tool that is shaped like a sandal. Add your company’s logo on the bottle opener, to boost brand recognition. Its stylish and durable design makes it easy to store and carry. It comes with a split ring attachment to hold your keys. This handy product will perfectly fit into your marketing budget while giving your brand the visibility it needs. Give it away at upcoming marketing events, to gain maximum brand exposure.